BOCHUM, Germany/ELLESMERE PORT, England -- A golden anniversary is usually cause for celebration, but at General Motors Co.'s car plants at Bochum in western Germany and Ellesmere Port in northwest England, the talk is of closure, not their openings in 1962. Economic weakness across much of Europe has hit car sales, forcing the sector to address a capacity overhang. GM CEO Dan Akerson estimates that manufacturers have 10 plants too many across Europe. Though Opel/Vauxhall has said none of its plants will go before the end of 2014, most expect the 50-year-old factory at Bochum and the Vauxhall plant at Ellesmere Port, the company's only remaining car plant in Britain, will be earmarked for closure. Opel's supervisory board met in private on Wednesday, but it was not clear whether plant closures were discussed. A statement issued by the company after the meeting said Opel's management and staff are committed to continue the dialogue with each other in order to identify the best possible strategy to improve the company's financial performance. "No further announcements will be made at this time," the statement said. "All signs point towards escalation regardless," said one source close to the board before the meeting, who said plant closures would be the elephant in the room even if they weren't discussed. Akerson and Opel Chairman Steve Girsky are pushing Opel CEO Karl-Friedrich Stracke to lower the company's breakeven point by shifting production from high-wage countries in western Europe to emerging markets. Bochum, once home to a thriving coal and steel industry in the heart of the Ruhr basin, underwent painful restructuring as the mines shut between 1960 and 1980. More recently, phone maker Nokia closed a factory in 2008, preferring low-cost Romania. Unemployment in the city stood at 10 percent in February, compared with a national average of 7.4 percent. "Opel is the pulse generator for the local economy," said Ernst Ulrich Doeren, managing partner of Ernst Doeren GmbH & Co KG, which packages tires for Opel and other carmakers and employs about 60 workers in Bochum. "Thousands of jobs would be lost at one stroke." It would be at least 20,000, according to Joerg Linden, spokesman for the Bochum-based IHK chamber of commerce, including the 3,100 at the plant itself, and the rest at suppliers, transporters and the like. "You can turn off the lights in Bochum if the factory is shut down," said Andreas Graf Praschma, a former spokesman for Opel's Bochum operations, who worked for the carmaker during major strikes in 2004 against the American owners' restructuring plans. Opel has said none of its plants will go before the end of 2014 but a statement from the plant's works council said: "Opel Bochum's employees are rightly asking themselves, 'What happens after 2014?' Plant closures have not been taken off the negotiating table, just the opposite." The works council estimates closing the Bochum plant closure would cost 45,000 jobs when related services companies and suppliers are included. Labor leaders, who make up half of Opel's 20-member board, planned to vote on Wednesday against any mid-term business plan that foresees the outright closure of a factory. The Ellesmere Port plant employs about 2,800 people, including 700 contractors, all waiting to know if the next-generation Astra, due to start production in about 2015, will be built there. The town, a 20-minute drive south of Liverpool, has a population of only 64,000. Its only other large employers being an oil refinery and a retail park. As in Germany's Ruhr, the industries of England's northwest have seen much better days. "Ellesmere Port has been a very strong performing plant for GM, but it is not solely down to economics," said Peter Wells, the head of the center for automotive industry research at Cardiff University. "If GM feels the need to close two plants, I think politically it would be very difficult for the company to close two plants in Germany, and this fact makes Ellesmere Port much more vulnerable," he said. A local official for the Unite trade union, John Featherstone, said the workers were angry that their future would come down to politics, particularly since the plant had made 265 million euros ($353 million) in savings they were asked to achieve. "It doesn't make sense," he said. "We're very bitter to even be considered." That unease has spread along Vauxhall's supply chain. A manager at one of its British-based suppliers, who spoke on condition he not be named, said: "We're feeling nervous because a lot of our products go into Ellesmere Port, and if we were to lose that contract it would have a huge impact on our business. We would have to cut staff ourselves if it goes." Some have seen it all before. One retired Vauxhall employee of almost 30 years' standing, whose son still works there, said threats of closure had been routine since the plant opened in Ellesmere Port: "It's been 50 years, and ever since I started there the plant has been closing," he recalled. The only European car plants that have closed since the economic crisis hit in 2008 are Opel's Antwerp plant in Belgium, a Fiat factory in Sicily and Saab's plant in Trollhaettan, Sweden. Mitsubishi is ending car production in its facility in Born, Netherlands, by year-end. Europe still has about 240 plants in 27 countries. In the United States, GM, Ford Motor Co. and Chrysler closed 13 plants between 2008 and 2012. Auto analysts expect a wave of plant closures across the continent at other beleaguered carmakers, such as PSA/Peugeot-Citroen, Renault and Fiat. Action taken by Opel could be of particular significance for workers at PSA, which has agreed to form an alliance with GM that is predicated upon each restructuring its European operations and sharing platforms to cut costs. 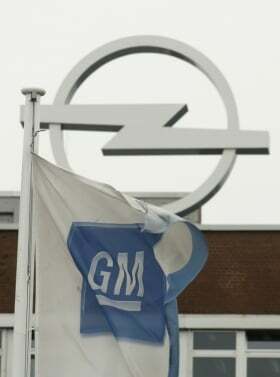 Analysts estimate that PSA has an even greater need to close factories than Opel, in part because GM already reduced its fixed costs by 20 percent during 2010 and 2011 with the closure of the Antwerp plant and downsizing elsewhere.